McALLEN — After months of disagreement and in what was likely Commissioner Richard Cortez’s final commission meeting before he is expected to announce his candidacy for Hidalgo County judge, city commissioners voted on Monday to pay the University of Texas Rio Grande Valley $1 million for its School of Medicine. It’s action the city has declined to take for two years despite signing an agreement that said otherwise. The money was budgeted for the 2016-17 fiscal year, which closes at the end of September. Cortez and fellow commissioners Aida Ramirez and Omar Quintanilla voted in favor of paying UTRGV. Commissioners John Ingram and Joaquin “J.J.” Zamora voted against the budget amendment. Commissioner Veronica Whitacre recused herself from the vote, citing her husband being a professor at the university. In attendance at Monday’s commission meeting at city hall were UTRGV President Guy Bailey, School of Medicine Dean John H. Krouse and UTRGV Vice President for Governmental and Community Relations Veronica Gonzalez. The last payment, this one for $2 million, came in 2014 as part of the aforementioned agreement, which pledged “up to” $2 million per year. Meanwhile, Hidalgo County, Edinburg and Pharr have made payments ranging from $500,000 to $1 million every year since 2014. Violence in Mexico, the peso devaluation and rhetoric from President Donald Trump have all impacted McAllen’s sales tax revenues, Ingram said, which Zamora agreed with. McAllen commissioners have tried to be conservative as these have caused a $3 million dip in sales tax the past two years. However, commissioners did not cite such sales tax revenue problems when they decided to give incentive packages to entertainment venues such as Dave and Buster’s, for $3.3 million. Ingram also mentioned that UTRGV is not engaged in McAllen, which university officials dispute. Bailey presented at an Aug. 28 commission meeting that focused on the university’s contribution to the city, which includes the construction of an 86,150-square-foot research building at an estimated cost of $34 million, which will be built by Doctors Hospital at Renaissance and leased to the university. The facility is scheduled to be up and running by September 2018, and the university expects to pay about $4 million per year in rent and operating costs. 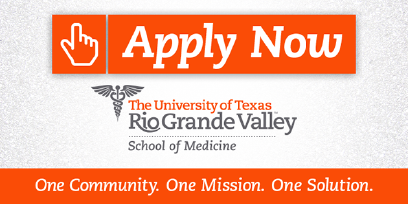 There is also the UTRGV Teaching Site in McAllen, near La Plaza Mall. Bailey said he was pleased with the final decision and the support from some of the commissioners. But as far as future support, Bailey said current and future projects should speak for themselves when it comes to the level of commitment to the Valley, including McAllen, on part of the university. Gonzalez and State Sen. Juan “Chuy” Hinojosa, D-McAllen, both met with Zamora, who was recently elected to the McAllen commission in May. However, they did not impact Zamora’s vote, as he voted against the School of Medicine funding. Cortez, who declined to say whether Monday’s meeting was his last as commissioner, gave a passionate speech in favor of paying. Some city and local officials joked that it was a county judge campaign speech. Mayor Jim Darling, who is not a voting member of the commission, laid out how it would be nice if kids attended school in the Valley all the way from kindergarten to medical school, and this is an opportunity for them to do that. Several medical school students were presented a proclamation before Monday’s meeting, which Darling referenced. A proposed health service district failed in Hidalgo County last November. “If we’re not supporting our own things, why should we expect Austin to do it for us?” Cortez added Monday. After the vote and meeting, Cortez would not say whether it would be his last. He has called for a “special announcement” Tuesday morning at the Commissioners Court, where he’s expected to announce his candidacy. If he does announce, that would trigger his resignation from the city commission, according to the Texas Constitution. However, he would still be the office holder until his successor is in place, which means he would be allowed to come to meetings and participate in city business. But it is likely, city officials said, that he would not do that, as he would be actively campaigning for another elected position. Danya Perez-Hernandez contributed to this report.